The beach bag is certainly a holiday essential, that lovely every day handbag definitely won't bode well after it's been in the sun for hours on end and covered in sand. Size matters - it needs to be big enough to store your sunglasses, sun cream (a must for me), holiday reads and the rest! Neutral or statement? 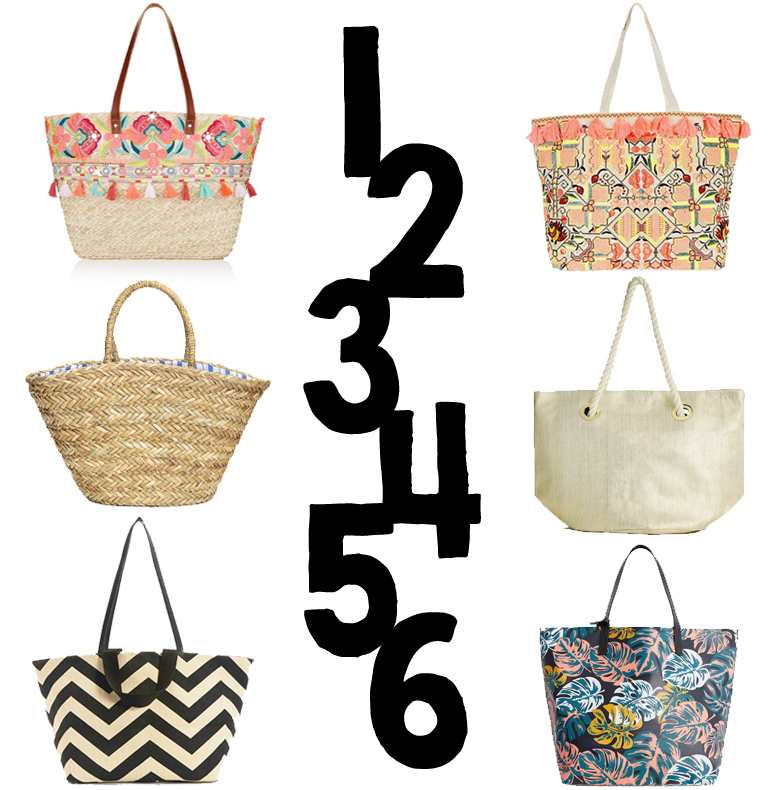 The question is, do you want a bag to co-ordinate with every beach outfit, e.g. the classic straw bag, or do you want to make an impact with a print or pop of colour and texture? Currently on trend are tassels, pom pom's and embroidered styles. In this week's edit have selected a combination of budget-friendly bags, so you can be holiday ready without breaking the bank.